The Maltese Shih Tzu (which is often misspelt as Maltese Shitzu) is a crossbreed or hybrid breed of domesticated dog. 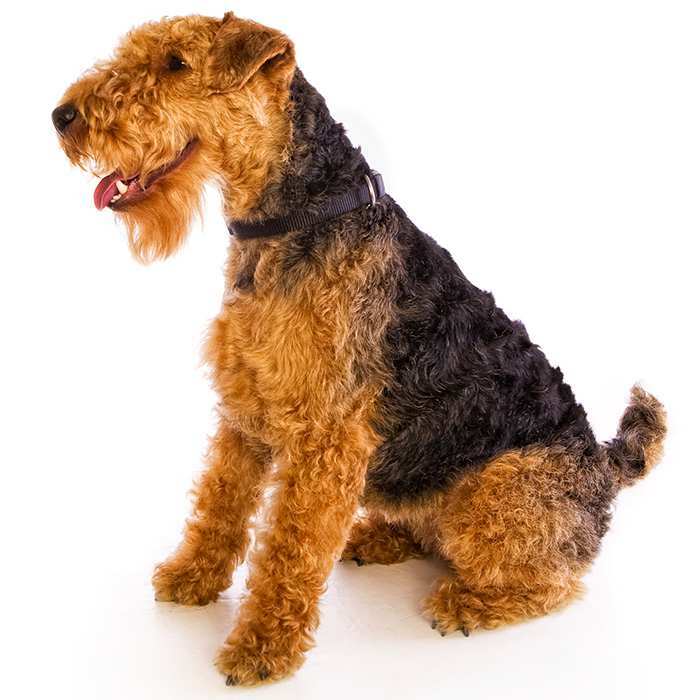 They are a toy dog breed, very small sized but stable dogs, equipped with a short muzzle, small round head and a soft medium-length but thick coat.  Popular companion animals, the breed is among the most popular cross breed types in Australia. The breed was developed in the 1990s by breeding a Maltese cross Shih Tzu. Maltese cross Shih Tzu breeders hoped that the product would be a small low-shedding companion dog with a good-natured and outgoing temperament. While marketed as the dog that doesn’t shed, this is not entirely true. The Maltese Shih Tzu mix does not shed a lot of hair like many other breeds, it does still shed some hair so grooming is still required.  Because the breed isn’t recognised by any of the main kennel clubs throughout the world, the Maltese Shih Tzu has no official breed standard and the appearance of each animal can vary. Generally, the Maltese cross Shih Tzu will not have the bulging eyes and stubby nose of the Shih Tzu, nor will it grow the long hair of the Maltese. Maltese Shih Tzus puppies are also available in a variety of different colours and markings. 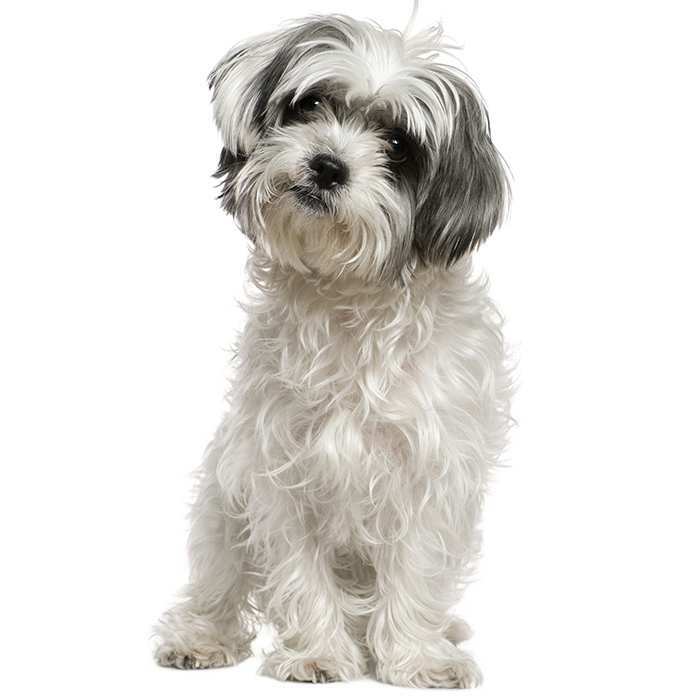 The Maltese Shih Tzu temperament is generally more placid and tolerant than the Maltese. The breed has a characteristic of being a confident animal and has been described as ‘gutsy’ by those who own them. The have a good reputation for being highly tolerant of kids of all ages and will happily play along, determined to please their owner. As always, discipline must be maintained at all times, especially during initial training for the home. The breed will tolerate other pets, but early socialisation of the Maltese Shih Tzu puppy will be necessary. Because there is no breeding standard for the Maltese Shih Tzu they tend to vary slightly in their appearance. They will measure approximately 20 to 30cm in height and weigh about 3 to 6kgs. A healthy and happy Maltese Shih Tzu will live for somewhere between 12 and 14 years of age. 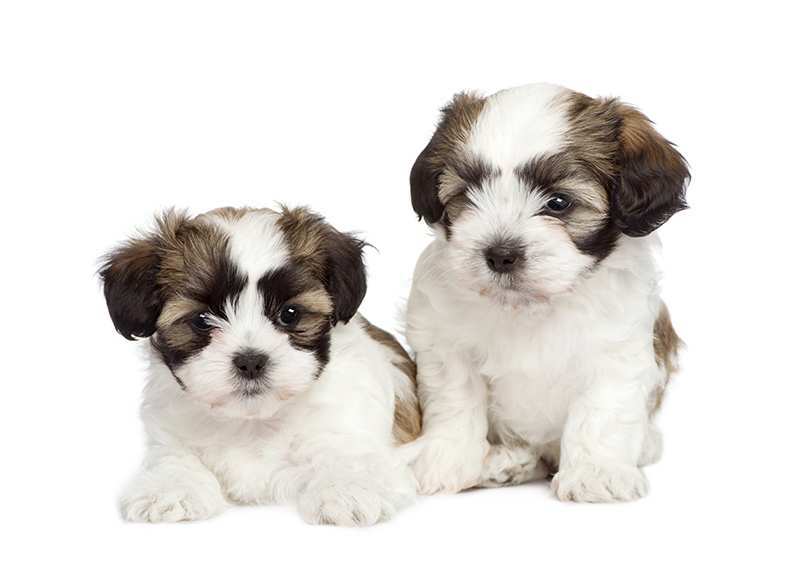 The Maltese Shih Tzu shares many of the characteristics of its parent breeds, yet sheds less hair than either of them. Known as the ‘friendly toy’, the Maltese Shih Tzu temperament is known to be more tolerant and better-natured than the Maltese. 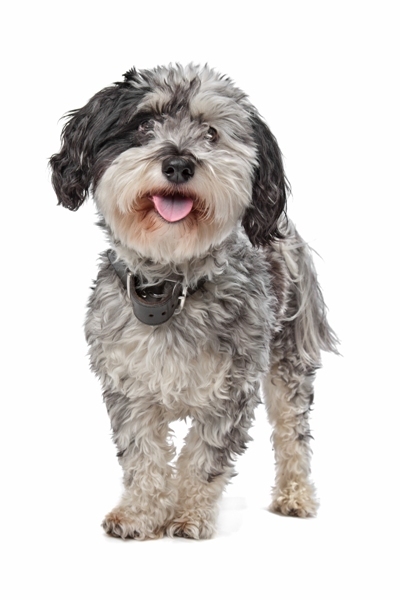 Their well-rounded temperament makes for a great family companion animal. The Maltese Shih Tzu has a fantastic reputation with children and demonstrates great loyalty for its family. Being extremely people-orientated, the Maltese Shih Tzu requires a great deal of human attention to remain happy. The breed thrives on human contact, whether it be game-playing, going for walks, or simply being included in day-to-day activities around the home. Behavioural problems have been known to occur in Maltese Shih Tzus that are either spoilt or left unto their own devises for any extended period of time. In this case, the Maltese Shih Tzu may show signs of separation anxiety or a severe lack of stimulation. Destructive behaviour around the house or sheer disobedience may develop and become commonplace. A spoilt Maltese Shih Tzu may develop bad behavioural habits. Never allow the animal to believe it is the master of you. Like all dogs, the Maltese Shih Tzu requires a strong and dominant pack leader. Clear and straightforward training from an early age, paired with fair and consistent discipline is a must if your Maltese Shih Tzu is going to behave. 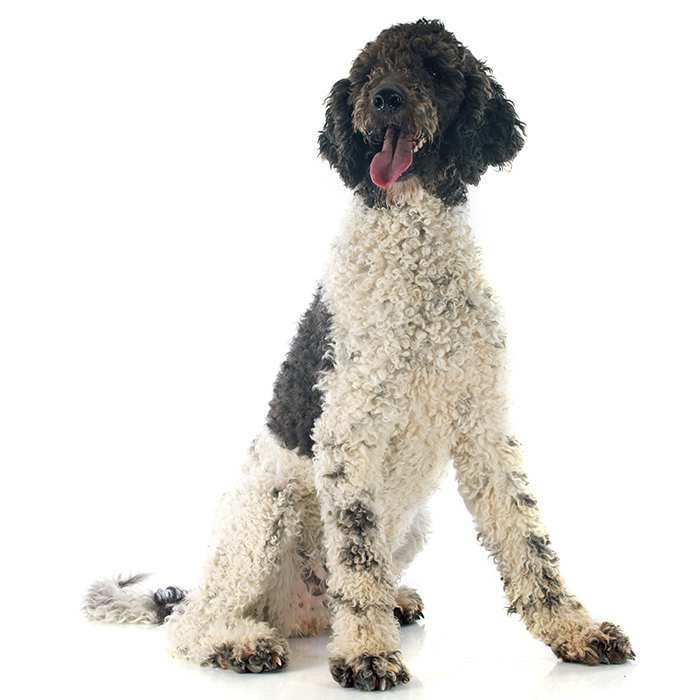 The breed is cheerful and good-natured and will often live harmoniously with other pets in the home. As always, it’s best to socialise them as a puppy; this will help to curb any aggression that may later arise. What are the most common health issues for Maltese Shih Tzus? Hypothyroidism.Common in all breeds, but also found amongst Maltese Shih Tzus, Hypothyroidism is when the thyroid gland doesn’t produce adequate amounts of thyroid hormone, usually because of inflammation. Some symptoms of Hypothyroidism include abnormal weight gain, dry skin, hair loss, ear infections, and lethargic behaviour. Intervertebral Disk Disease.This is a condition that occurs when the disc between the vertebras becomes damaged, causing swelling and leaking. Common symptoms include: inactivity or lethargic behaviour, shivering, limping, or the inability to bend down to eat. If you notice these behaviours, get in touch with your vet. Hip Dysplasia.When the hip doesn’t form properly, leading to possible lameness over time. Portosystemic Shunt of the Liver.Shunt of the liver is when an abnormal connection forms in between the portal vein or one of its offshoots and another vein, causing blood to bypass or ‘shunt’ the liver. It’s usually caused by a birth defect and symptoms include poor muscle development or stunted growth. Disorientation is another sign of portosystemic shunt of the liver. The Maltese Shih Tzu was developed in the 1990s by cross breeding a Maltese and a Shih Tzu for the purposes of creating a toy breed that shed less hair. The Maltese first appeared in Europe as far back as 500BCE and it is believed the breed is ancient, having originated in Asia. It was very popular throughout the middle ages among European nobles and often served as lapdogs in many a royal court. The Maltese is a very popular show dog and is still in high demand throughout Europe today. The Shih Tzu is one of the oldest known breeds of domesticated dogs and is originally native to Tibet. Known to have been kept as companion animals as far back as 1000BCE, the breed was especially popular with Chinese nobles and royalty. The Shih Tzu was first introduced to Europe by traders as late as the 1930s and was introduced to the United States after the Second World War. While the Maltese Shih Tzu mix was developed solely as a toy breed that would shed less hair, it does in fact still shed. The cross breeding of the Maltese and the Shih Tzu is considered still a great success amongst its fanciers, however, as the Maltese Shih Tzu sheds far less hair than its parent breeds.  For this reason the popularity of the Maltese Shih Tzu has sky-rocketed in recent years; it is one of the most popular breeds in Australia and is quickly gaining notoriety in the United States where it is commonly known as the ‘Mal-Shi’. Although the Maltese Shih Tzu, developed in the 1990s is a very new hybrid breed, its parent breeds, the Shih Tzu and Maltese are some of the oldest known breeds of domesticated dog. Maltese Shih Tzus are often marketed as the dog that doesn’t shed hair. 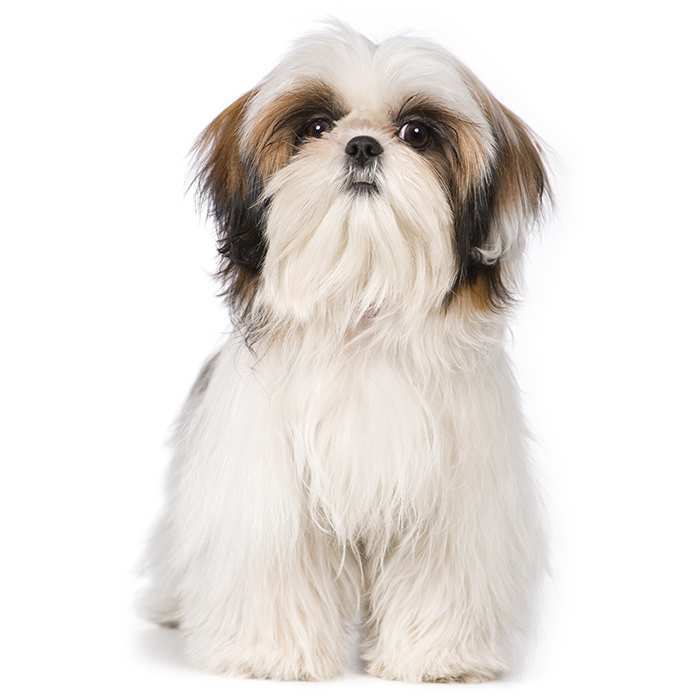 There is no dog in existence that doesn’t shed hair, however the Maltese Shih Tzu sheds considerably less than its parent breeds, making them an ideal companion for those who suffer from allergies. The Maltese Shih Tzu can develop terrible behavioural problems if not trained properly, disciplined consistently and shown a good deal of human attention. Barking and snappiness are among the issues that can develop. Destructiveness around the home can also develop if these intelligent animals are not stimulated.